Whether you are in need of rain gutter repair or need a brand new rain gutter system installed for a commercial or residential property, Rowley’s Rain Gutters in Washington UT, Washington County UT, St. George UT, and Mesquite, NV is ready to help you. We serve locations up to within 150 miles of Washington, UT and have a dedicated, experienced staff. Since 1992, Rowley’s Rain Gutters has been helping the people of Washington, UT and the surrounding areas with all of their rain gutter service needs. From quick and efficient rain gutter cleaning to reliable rain gutter installation, the highly trained professionals at Rowley’s Rain Gutters are ready to help you. Are you in need of new rain gutters in Washington UT, Washington County UT, St. George UT, and Mesquite, NV? Don’t wait for the next storm. The dedicated staff at Rowley’s Rain Gutters will install a high quality precipitation drainage system for your home or your business. We will work with you to find a system that best works for your property, your needs and your budget. We serve Washington UT, Washington County UT, St. George UT, and Mesquite, NV and the surrounding areas up to 150 miles. We take pride in being one of the leading providers of rain gutter services and expertise. As a licensed and insured company with a hard working, dedicated staff, you can rely on Rowley’s Rain Gutters. Rowley’s Rain Gutters offers affordable prices and FREE estimates! 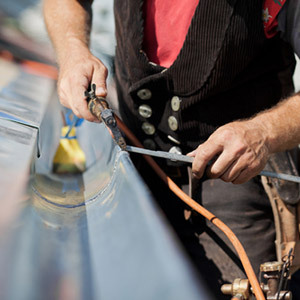 We will take care of any of your rain gutter needs with reliable and efficient services. Keeping your rain gutters cleaned, well maintained and in good standing is essential for safety and keeping your home or business running smoothly. Call us today at 435-680-6671 to learn more about how we can help you to accomplish this.